Students led the march to Fort Lauderdale City Hall, from Esplande Park on Saturday July 21, 2018. 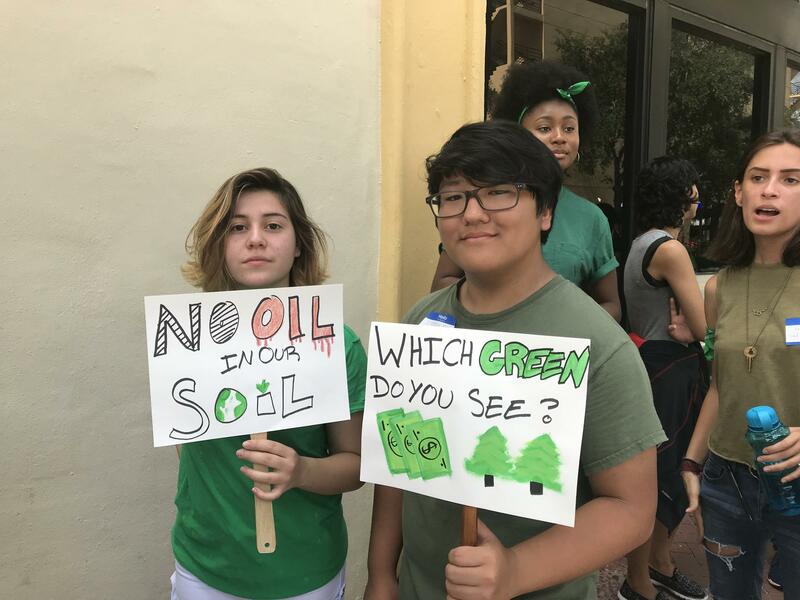 More than 100 people answered the call from local students to march through downtown Fort Lauderdale on Saturday asking for action on climate change. 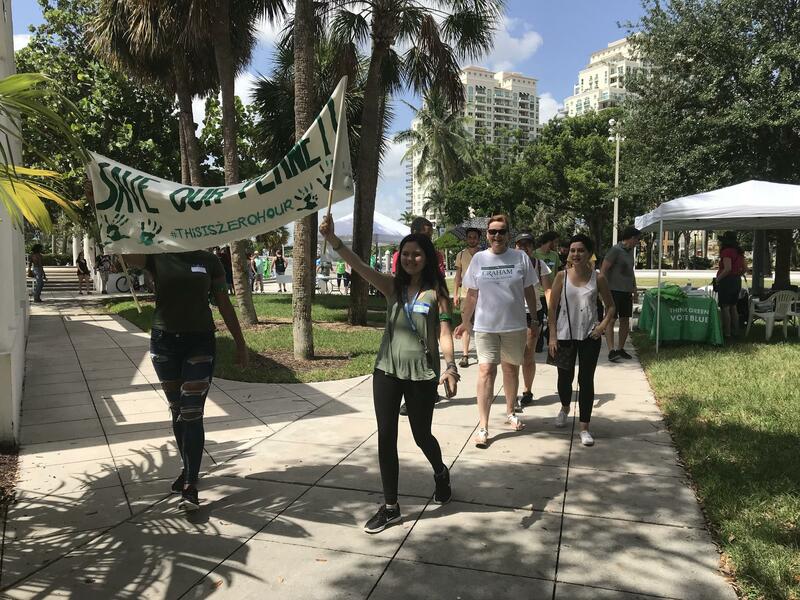 'This Is Zero Hour' is a national climate change awareness and action campaign, but a group of recent graduates from American Heritage in Plantation organized a local campaign march that began in Esplanade Park. 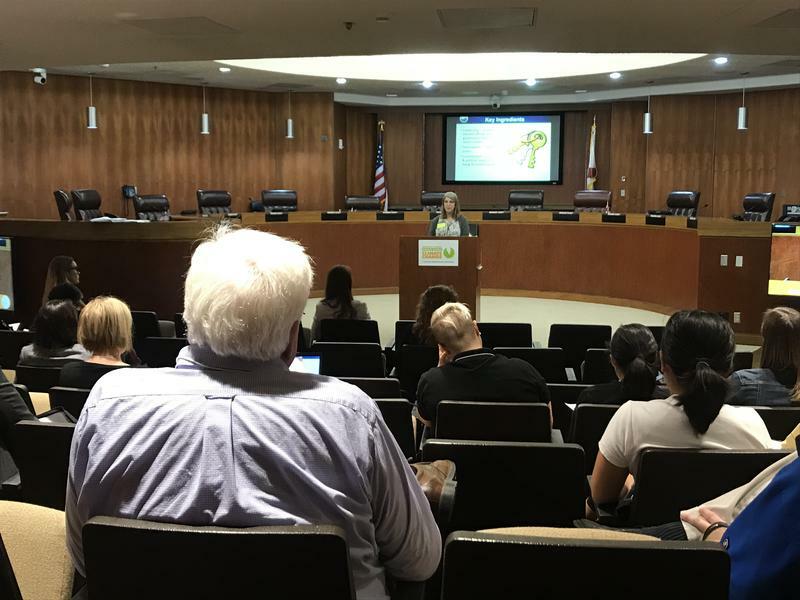 Faith Ward said she didn't feel like student activism had much of an impact before the shooting at Marjory Stoneman Douglas on February 14. "Taking the issues into our own hands, that's kind of what inspired me, 'oh, I can do things if I want to," Ward said. After she helped organize American Heritage's walkouts in support of gun control, she felt like she could get involved for other causes, too. "We're the ones that are gonna watch more and more people not have clean water, like in Flint, Michigan," she said. "We're the ones that are gonna have to experience the air quality getting worse." Sophia Donskoi was also one of the organizers of the Saturday march. She said teenagers are going to be the ones to inspire a more eco-friendly generation. "There have been a lot of really dooming statistics and pieces of research that have come out," she said. "But I do think it's a cause to be hopeful for because a lot of people - especially a lot of people our age - are coming together making personal life differences - being conscious consumers." Two American Heritage students marched to city hall with signs on Saturday. "No Oil In Our Soil" and "Which Green Do You See?" propagated the group's message to politicians to think in a more environmentally conscious way. Ward and Donskoi led the march to Fort Lauderdale City Hall. People there encouraged voting for politicians who are in favor of climate-friendly policies. "System change, not climate change! System change, not climate change!" the group shouted when they got to city hall. Gill Barthelemy marched alongside his girlfriend, her sister, and he even brought his 10-month-old son. 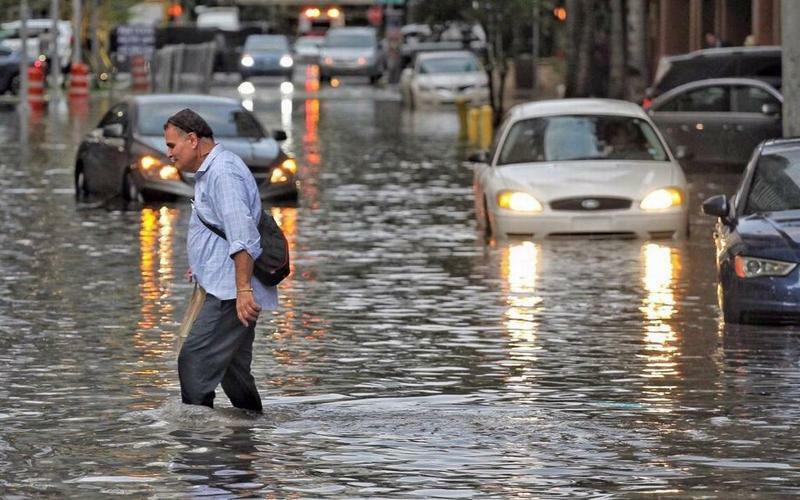 He said living in South Florida is too beautiful to let it go to waste. "We gotta protect it, and be conscious of what we throw out," he said. The group also registered people to vote and had a letter-writing station at the end of the march for students to draft letters to their local and state politicians about more policies addressing climate change. After Hurricane Irma, some people with low-wage jobs took weeks to recover the costs of supplies and days of missed work. In parts of the Florida Keys, people spent months rebuilding homes and businesses. 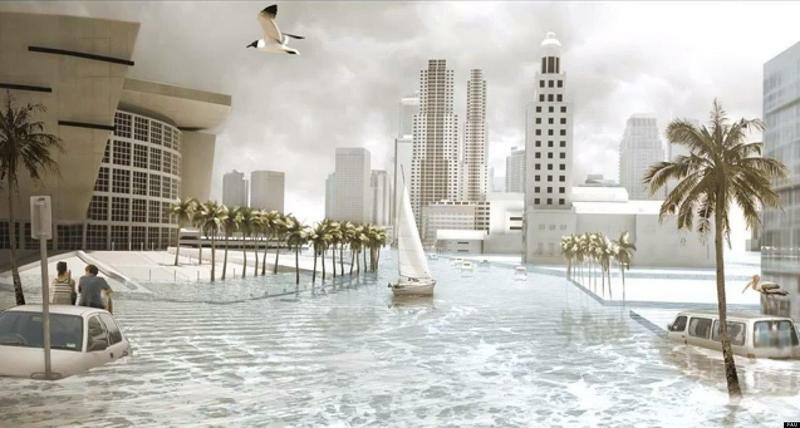 An ugly moment at a meeting of Miami's sea-level rise committee last week has prompted controversy over one of its members and a discussion over the committee's mission.